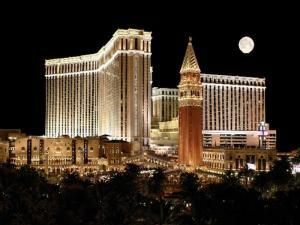 When it comes to Casino gaming, there’s nothing that rings as familiar as The Venetian Casino. Known for its world-class amenities and spectacular gaming, The Venetian offers Las Vegas casino players as much fun, excitement and winning opportunities as you can imagine. The Casino is preferred by many Las Vegas tourists and residents alike because of its stunning architecture and renowned interiors and facade. Aside from the gambling and excitement, there is lots to do within The Venetian, combined with The Palazzo, its sister property. Now only will you experience gaming at its finest but you’ll also have a chance to be awarded with unparalleled customer service. The Venetian offers gamers with over 200 table games spread out across six different gaming areas. From Blackjack, Roulette, Craps to Baccarat, you’ll never run out of things to do. Additionally with over 2,000 slot machines, an exclusive gaming area and complete hotel amenities, The Venetian is paradise for those looking to enjoy the best of what Las Vegas has to offer. According to the Casino, they offer a wide range of slot machines for players to enjoy. From a range of machine themes to keep it interesting, they also offer mega jackpot progressive machines to give you a chance at winning it big. The Venetian boasts that there are more than 2,400 slot machines and depending on your gaming needs and betting budget, the jackpot prizes range from multiple hundreds to as high as $10 million. In addition to the floor slots, players can also head to the High-Limit Slots salon that offers a bit of a subdued environment for those who want to get away from the hustle and bustle at the casino floor. In the Salon, there are four parlors, each with its own four slot machines, a sofa as well as big-screen televisions for you to relax when taking a break for all the excitement. Depending on what type of gamer you are, there are options for you depending on your slot-play preferences. The Venetian is also offering the DRINKS2U service where guests can order their drinks directly from the slot machine they’re enjoying. Unlike in the past where you’d wait to chance upon a roving server, all you need to do is tap on the Drinks2U button and make your choice. A server will then bring it to where you are for maximum convenience. The service has begun rolling out at The Palazzo and The Venetian and available in select machines. If you want to go with a name that can be trusted, make it The Venetian. With a wide option of slot machines and gaming areas to choose from, you can spend your entire stay exploring all the machines the hotel and casino has to offer or enjoy all the other entertainment amenities offered to you. The Venetian is a great option for both hard-core slot players as well as leisure gamblers.